The LV/119 C O V E R T Rear Plate bag is a slick no frills solution for those who need to wear hard plates in the lowest profile possible. A 3" x 5" velcro patch is sewn at chest height for IR identifiers, patches or even our jumbo flags. The cummerbund attachment is a proprietary system that allows for the use of all of our cummerbunds as well as allowing for a wide range of adjustment. The cummerbund attaches inside the plate bag, this is advantageous for two reasons. 1. It doesn't have external mounting that can get snagged or rip off when exiting vehicles in haste. 2. It creates a smooth profile when wearing underneath clothing. 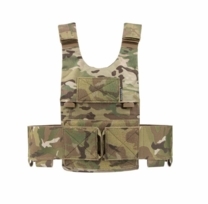 The LV/119 Plate Carrier System was designed to be a scalable and highly configurable plate carrier platform. 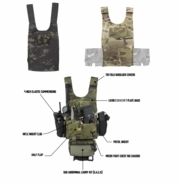 The system will offer accessories ranging from Covert Low Visibility Operations, to High Threat Direct Action Raids. 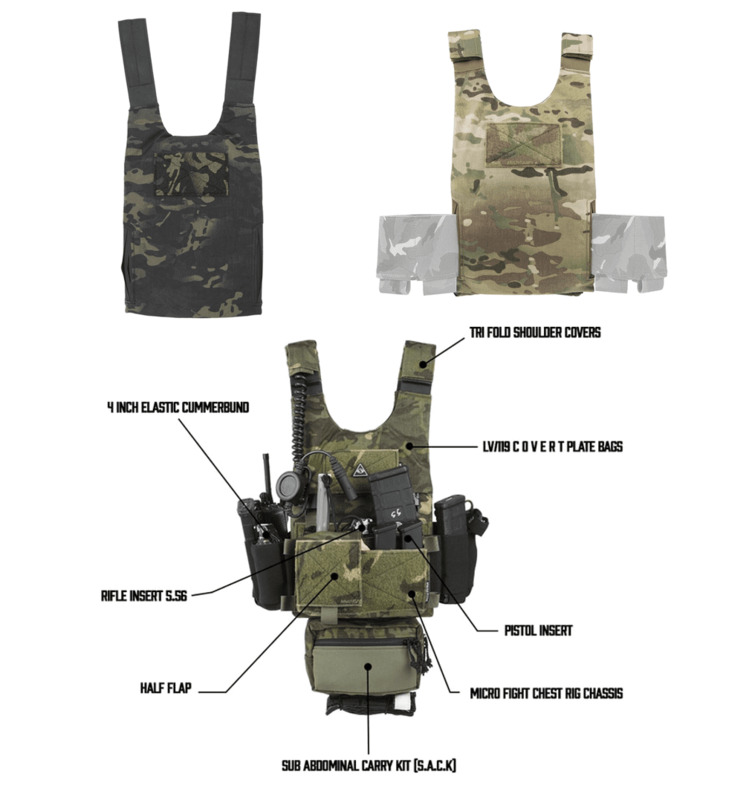 We designed the system to be issued in entirety to operators who can then select the desired configuration to meet their mission requirements. 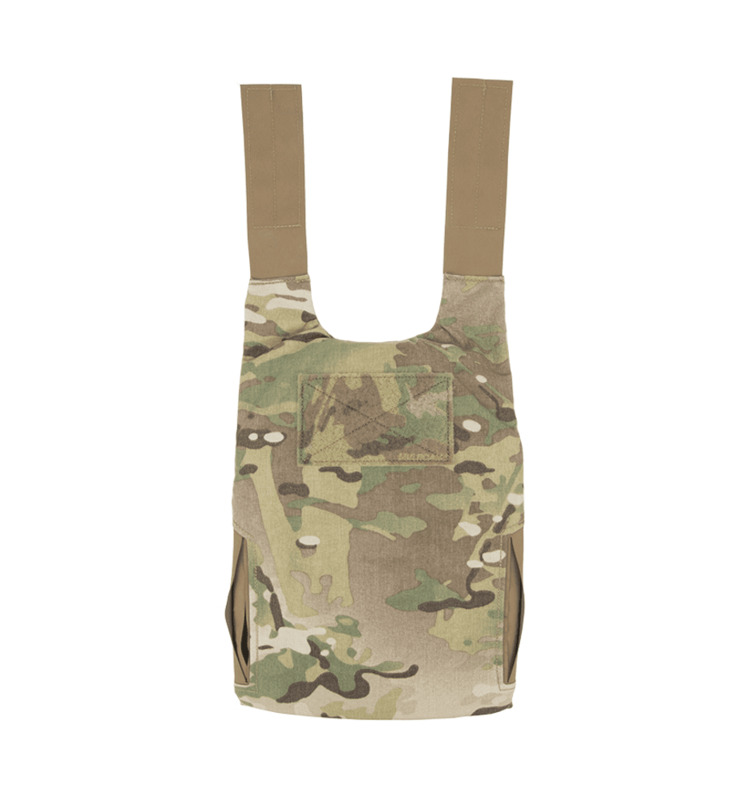 Accessories that will be released will include, O V E R T Plate bags, Back Panels, Placards, Side Plate Support, Molle Cummerbunds, Maritime Support, Tubes and much more. All parts and accessories will be interchangeable throughout the series. Plate Fitment- The carrier was designed to snuggly fit United States Standard Issue SAPI cut plates. The bags were built to accommodate "thicker" plates but they will not fit plates that are NOT cut to the SAPI Spec.